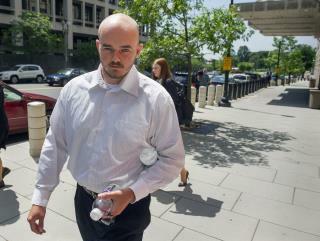 (Newser) – The second trial of a former Blackwater sniper accused of firing the first shots in what prosecutors described as an unprovoked massacre of Iraqi civilians at a Baghdad intersection ended in a mistrial Wednesday. US District Judge Royce C. Lamberth declared a mistrial in the Nicholas Slatten case after the jury said it was still deadlocked on the 16th day of deliberations, the Washington Post reports. Slatten and three others were convicted of murder in 2014 for the 2007 shooting, which killed 14 civilians and wounded more than 15 others, but the conviction was overturned on appeal last year.